44 responses to Should You Marry Someone Who Embarrasses You? One thing that confuses me is this… it seems like there is an extra burden put on women to figure all of these relational things (sometime very complicated) out when biblically God calls men to shoulder more of the marriage responsibility. In the article above there is great detail and warning to women about what happens for a man. When a guy doesn’t feel respected, he’ll feel like a “project,” as it will be difficult for you not to keep needling him about the issue(s) you hope will change. He may get discouraged that you don’t respect him and, as a defense mechanism, stop trying to earn your respect and worse, seek to be respected somewhere else. There are plenty of other ways a disrespected guy might respond and none of them, frankly, are good. Often there is a real chicken and egg dynamic and a woman is responding to very deeply hurtful behavior or treatment from her husband. What happens to a woman is that she is devastated and tries to talk to her husband and he is ashamed and cannot deal with his feelings of shame so he pushes the blame back on her. Women cannot fix everything and we are often no better equipped to deal with these dynamics then our spouses and yet I read time and time again about many expectations of what women should do. Why is it that we are so quick to let men off the hook? Why shouldn’t men who love the Lord and understand that they have been given amazing grace through Jesus begin living out that reality and extending grace to their wives who they’ve mistreated? If one accepts responsibility for their part, they wouldn’t be focused on how disrespected they feel but would focus on the damage they have caused. And, if both partners are taking this approach — everything should be working out to the betterment of both spouses and the marriage. I hear so many similar stories where women will work so hard to acknowledge their sin and try to repair the relationship while husbands look down their noses disdainfully and pretend they have no sin. Shouldn’t there be more focus on why we readily accept these unconscious biases that put an unfair burden on women? I hold down a demanding full time job and help take care of a disabled parent and my husband is as capable as I am (and has waaay more time) of doing his part to fix our marriage. Humility says I will go first and yet I see so many stories of men who not only refuse to go first but reject their spouses attempts to repent, grow and heal. That’s my marriage story.So sad. I don’t want to sound defensive, but I hope you will note that there was a paragraph for BOTH husbands and wives about what happens when we are embarrassed with the other. You quoted the one challenging women but not the one challenging men. A fair critique of Sacred Marriage is that it’s harder on men than women. And my book Cherish truly challenges men to , well, cherish their wives and not take them for granted. I understand your concern and frustration, but I’m trying to address it and even correct it, not perpetuate it. I hope I can get a LITTLE benefit of the doubt in this regard. Not being attracted to someone physically and not thinking well of their occupation could understandably be issues that should be considered when selecting a spouse; being fully aware, though, that looks and resumes often change remarkably fast. In both cases, as you point out so well, other priorities (such as character) should supersede both. If the appearance or occupation of someone else is somehow interpreted as a reflection on you (leading to embarrassment), that’s an entirely different story. That’s an attempt to make another person responsible for how you (or others) view yourself; making their actions, looks, occupation, etc. a determining factor in your own self worth. That sets the other person up for failure, and you for all kinds of ugly emotions. The other individual will never be able to sustain your expectations of them, and the self esteem you gain from them will always be lacking… more severely as time goes on. Changing partners won’t solve this either; only building a healthy sense of personal value in Christ will. I appreciate that the writer is acknowledging she may have inappropriate values. We all struggle with that at times. When we do – and feel inner conflict about it – that may be a character issue within ourselves that needs to be addressed. IF that’s the case here, and if she is suggesting in her last question that her boyfriend’s character may not be high enough to overcome her own character issue, that would be – at the least – unfair. We’re all tempted to find our source of worth and value in places other than our Creator; the only true Source. He loves us as we are – no matter how we look, or where we work. We’re unable to love others as Christ loves us until we fully grasp that for ourselves. I hear what a lot of the women are saying, basically to judge the inner man, not simply the outer. However, I believe what this woman is concerned about is the fact that not only are there superficial aspects that she is embarrassed about, but that he lacks in character as well. I think the last part of him lacking in character is the core issue. Perhaps if he was a man of strong character, she would be more attracted to that and not even see his superficial short comings. In my opinion, the superficial things are really not the issue. If she is seeing that he is lacking in character, then she has her answer right there. That lack in character is going to amplify any superficial flaw this man has. If she simply ignores his character flaws, and superficial flaws (in her eyes) then she is not living in reality. Women need to see their man for who they are, not who they want them to be. If he is not all she wants in a husband right now, today, then move on. Some will say that is selfish and shallow, and maybe it is. But it’s better to be true to yourself rather than deceive yourself and the other person, if they are not truly the one you want. Marriage is for life, you only get one shot at making a wise choice about the man you will commit your life to. The man who will father your children and grandfather your grandchildren. The man who you are trusting to protect your heart and your family. The man you will be waking up to every morning and going to bed with every night. It’s a big decision, and I don’t believe God want’s us to be ignorant when making this choice. Amen, Carol. If the issue is substantial character traits, and that’s where it started, then I wholeheartedly agree. However, the writer to Gary seemed rather conflicted. She actually started off mentioning that he actually deserves for her to be more proud of him, making it seem that he does have character traits important for a godly marriage. Her final question is about character traits, which contradicts how she started. She focused much on the superficial, so I am asking the question, “What came first…the chicken or the egg?” Was she so focused on the superficial that actually it is superficial character traits she referenced in her last question…not the substantial ones…that she was using to discredit him. Thus, was she so focused on the appearance and occupation she thought he needed, that insignificant “flaws” were magnified???? If it’s the other way around, though, then I totally agree with you. If they are substantial character traits she discovered were not present, he probably would seem less attractive to her. I know God has made that a reality in the lives of many. So the question is this: what came first? The lady writer was conflicted. So what do you do and how do you honor God when you’re already married to that person? I was in that position. You have to confess your sin of pride. I had to confess and allow God to change my heart toward my husband. Thanks for this, Carol. It’s what I’m working on, too: asking God to help me see my husband as He does, to hear my husband’s heart even if I humanly don’t understand some things, and to work on my own issues of pride. My husband never wore a mask, as you said yours did. I knew what I was getting. I just didn’t realize that the stressful season we are in right now would bring some of our seemingly unresolvable disagreements to the forefront. In myself I can’t handle this, but in God I can, and He is helping me. So did you, by your comment. Thank you! 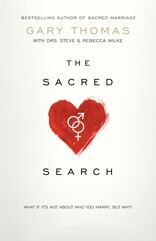 Your book, Sacred Search , was an answer to prayer for me, and my husband! I lead a singles study group on your book, and I feel many lives were changed. Three couples, that were in the class, ended up getting married….one couple was my wonderful husband, Larry, and myself. I recommend the book over and over because I know it is God inspired. My comment is that I have a different thought about dating someone who you may not be attracted to initially…..or someone you wouldn’t “typically” be attracted to. One of the things that God taught me, with the help from your book, was that, for me, immediate physical attraction was a red flag. As a child and former wife of an alcoholic, that’s where my attractions usually led me. Larry was this terrific man, new friend, who was helping me with the study…and we were trying to get to know one another. So with great Love and respect like I have for no other, I will tell you that I was not attracted to him as a potential boyfriend or husband…..then God took over. And as I read about how we should be looking at someones character, how they treat you and others…how they love Jesus more then anything or anyone, I began to realize that this was the most AWSOME man I had ever met!! We purposefully had little physical contact, so we could try to avoid infatuation. And again, we will both say, with much laughter and love, our first kiss was so awkward….it was pretty bad…lol….but God kept nudging me to get to know him….the true him, inside. We let it all up to God and trusted Him. As a Life Coach I work with a lot of women both individually and in small the group setting. My goal is always to be certain that whatever the choice is that is before them is based on the reality of the present circumstances and not connected to anything is their history. Too many times we are unaware that another person’s behavior, personality and sometimes their physical appearance can remind us of someone in our history that has had a negative impact on our lives. Journal, talk to someone to get a reality check, get wise counsel, and most of all pray and God will be faithful in providing the right answer for you. What a great blog today! I must say though, that I disagree. We are so spoiled here in the States that nobody will ever “measure up” to our standards unless we are humbled by God. I was embarrassed of my husband for many years. It was a stupid and selfish pride that caused it. It led to great disrespect, and it’s something that I still struggle with today. I had to come to the knowledge that I married him in the sight of our Lord. I had to begin to trust God, and knowing that God placed this man as the head of my household meant that trusting my husband was trusting God’s provision! Even though I thought he was “dumb” sometimes, once I began trusting the Holy Spirit that lives in my husband, it became easier to look at my husband with loving eyes rather than embarrassment. It’s interesting to me what the lady that wrote Gary focused on as the attributes that embarrassed her somewhat. Having been a victim of domestic violence, it’s amazing what God made attractive and brought to life…what traits replaced the superficial…when a man was found who loved the Lord and was a true friend, gentleman, and one who cared about people. When I first started reading the book, “Cherished” it was difficult for me because the man who abused and assaulted me the most actually understood much about how to cherish me…and did…except for the essentials that Gary mentioned when he referred to keeping safe with a protective love – 1 Cor 13. He had looks, charisma, and a profession I loved. He claimed to be a believer. He even passed pastoral, military family, and community scrutiny as a respectable, God-fearing husband for me because of the parts of cherishing he did understand. Even still today, people are drawn to the abuser because of the parts of cherishing he understands. Once again, though, he did not love in a protective way. I almost died, and my unborn child (possible twins) did from the physical attacks by him. What I would really hope the lady that wrote you would understand is that if she’s focused on what God wants for her – all traits – He can bring to life what may seem insufficient on the surface. In a healthy, Godly way…not a sinful one…God has made attractive some “unseemly” characters on the surface. If a man is a person of integrity in character, work ethic and will do whatever job is available to sacrificially provide for his spouse and job and she finds it not respectable; she is not worthy to join such a kingdom focused and engaged man and needs to make a clean break in terms of her character or from that man. The Sacred Search fundamentally is about building Kingdom focused people who will love and live in covenant partnership not just for their marriage enjoyment but for the glory of a God who humbled himself to forever associate with unresectable people and environments and is forging a Kingdom that retains Hus values . In raising our own children, we rejected the traditional secular dating model we had followed in our own lives. 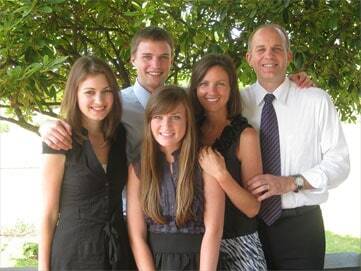 We saw the fulfillment of doing things a better way when our oldest son was married 6 years ago. When our now daughter-in-law found out from her father that our son was interested in her, she could not believe that our son would be interested in her. On the other side of the equation, our son was hoping and praying that a girl like our daughter-in-law would be interested enough to give him a shot. This is how they approached each other and their courtship. Today, they both still feel that they each “married up”. They both respect each other immensely. Ideally, in my opinion, this is how we should approach marriage. It doesn’t guarantee that there won’t be trials, etc., but it is a good foundation to begin on.